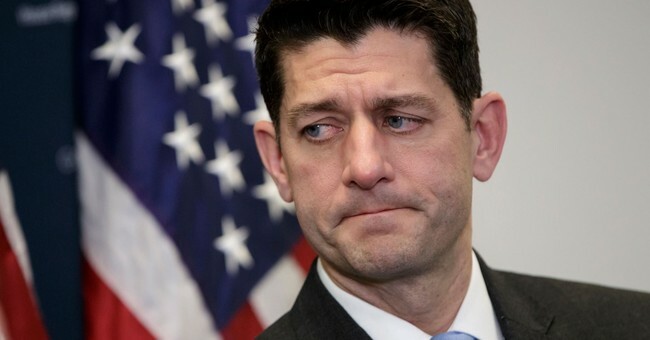 House Speaker Paul Ryan (R-WI) defended his decision to request the resignation of House Chaplain Father Patrick Conroy in an interview with The Milwaukee Journal Sentinel Monday. “This was not about politics or prayers, it was about pastoral services,” Ryan claimed. “And a number of our members felt like the pastoral services were not being adequately served, or offered." "You sometimes have to make decisions on behalf of the institution that may not be politically popular," Ryan emphasized. "Father Conroy is a good man, and I'm grateful for his many years of service to the House." Ryan added that the decision had been "based upon feedback I've been getting for quite a while from members." There was a bit of an uproar over the Jesuit’s dismissal by Democrats and some Republicans in the House last week. Some speculated that the priest was dismissed after he said a prayer that seemed critical of the GOP tax law. Conroy served as House Chaplain for seven and a half years. Ryan says there will be a bipartisan process to pick Fr. Conroy’s replacement.